Free Concert… God Is Great!!!! 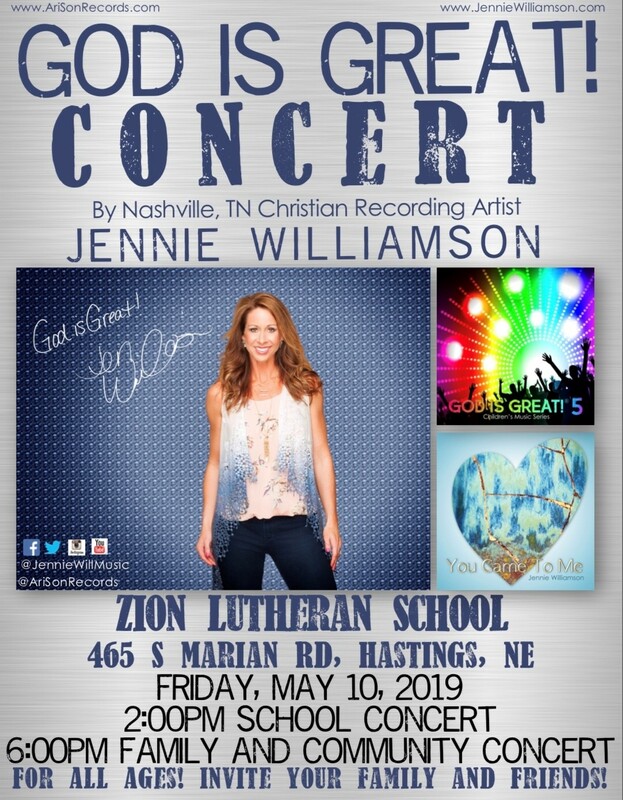 Christian music artist Jennie Williamson will be here at Zion Lutheran School for 1 special concert. Free Hot Dog Meal available before the concert on May 10.